This is good news for DD Free dish Bengali language viewers that Khushboo TV Bangla second bengali channel available on DD Freedish DTH. Earlier on DD Free dish only one channel was available in Bengali language - DD Bangla. Khushboo Bangla channel is by Manoranjan TV group. 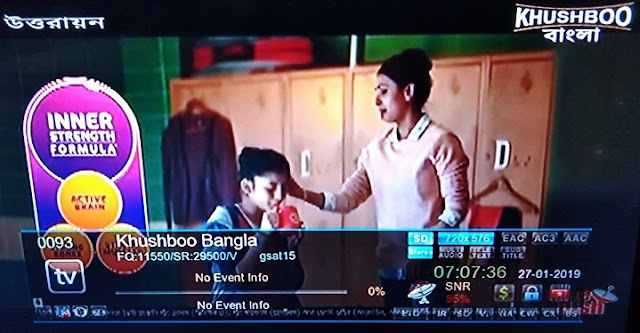 Khushboo TV recently changed Hindi GEC to Bangla channel. Now it is showing movies in Bangla language. If you are not getting Khushboo TV Bangla channel; then you can re-tune your free-to-air set-top box by using given below technical details. Prasar Bharati Recently invited application to fill vacant slots on DD Freedish DTH as pro-rata basis (Pro-rata you can understand as daily basis). 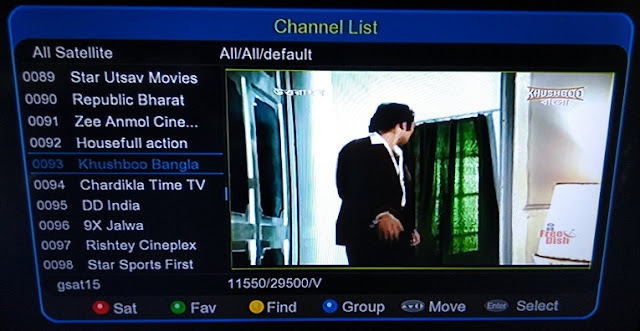 Great news.. bengalees can watch 2 channels now. Wish we could get a Bengali news channel also.